Watford’s Elected Mayor Dorothy Thornhill addressed the 38,000 guests praising Watford’s Ahmadiyya Muslim Association festival held in the middle of a field in rural Hampshire to try and tackle extremism. She said: “Ahmadi Muslims in Watford are passionate about their town and regularly make a valuable contribution to the community. 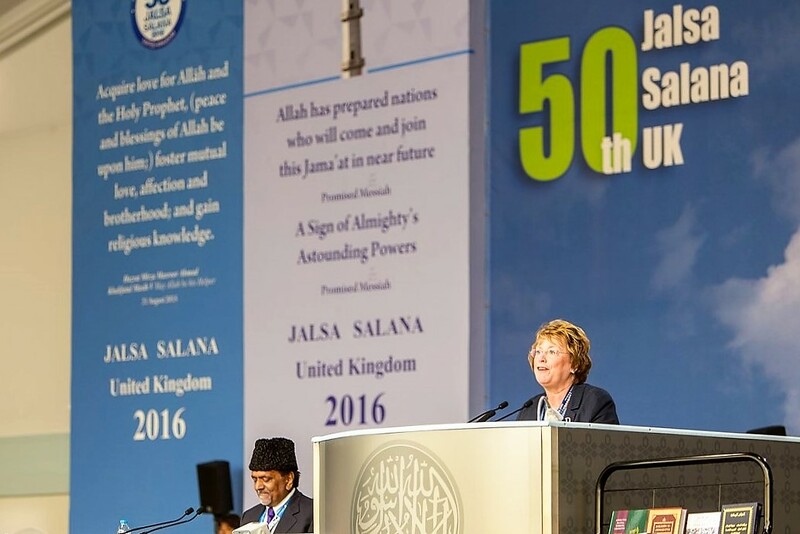 The 50th Jalsa Salana (Annual Convention) of the Ahmadiyya Muslim Community in the United Kingdom concluded on Sunday 14 August. Whether it is helping to raise funds for the Royal British Legion or hand-delivering thousands of leaflets highlighting Islam’s commitment to loyalty, freedom, equality, respect and peace.